Brand New Garmin DriveSmart 7 NA LMT-S Unlocked Car GPS Lifetime Maps & Traffic. Condition is New. Shipped with USPS Priority Mail. 2020 Updated as Shown in Pics. • Garmin Real Directions™ landmark guidance. • Trip planner. • Trip log. • Display resolution, WxH 800 x 480 pixels. • Battery life up to 1 hour. • Display type WQVGA color TFT with white backlight. • Display size, WxH 5.36"W x 2.83"H (13.6 x 7.2 cm); 6.1" diag (15.4 cm). Reset the phone: Send number 444 to alarm phone. Reboot the phone: Send number 999 to alarm phone, start success after 1 minute. Sound monitoring: Send number 666 to alarm phone. Record: Send number 555 to alarm phone, begin to record. 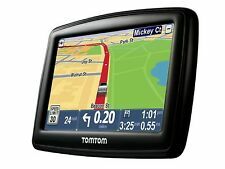 TomTom START 45M Unit. [1ET0.052.09 ]. Unit is almost identical to the TomTom XL 335 series. Knowledge is power and savings too. Never miss your exit or turn with Advanced Lane Guidance. It shows you exactly which lane to take before you approach an exit, turn or difficult intersection so you can stay on the right path. ¢s award-winning TOPO! Use the Triton 1500 to view photos and listen to MP3 files via its embedded speaker or headphone jack. Easily replaceable AA batteries ensure you'll always have power when you need it most, while its integrated antenna enables clear receptionÃ¢â?. 2020 Updatedas Shown in Pics. 1 Garmin Friction Mount Sand Bag With Goose Neck. 1 Garmin Basic / Power / Charging Cord. No Manual or Box. Built to be both intuitive and easy-to-use, the SporTrak Color lets you rest assured knowing that all its major functions are described in step-by-step instructions built right into the unit. Further, the water-resistant SporTrak Color is sealed to IEC-529 IPX7 specifications--and it even floats. Tested and working 100%. Good luck! 2020 Updatedas Shown in Pics. No Manual or Box. Never worry about cellphone's no map data due to no data channel. Device has been tested and cleaned and is in excellent shape. This transreflective TFT provides excellent viewing while maximizing your battery life (20 hours, typical use). Carry Case (NEW). The USB Driver for Windows Download We will try our best to reduce the risk of the custom duties. Note: Other Specification is as picture shown. TomTom Window Suction Mount. An windshield suction mount holds it in place. and you can view themHERE. You betta' choose my voice, sucka! Use TomTom PLUS services to stay abreast of key information. 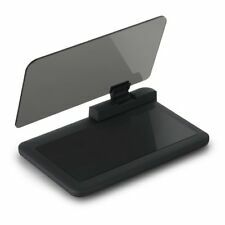 1 x TomTom Rider Car Charging Dock. Specifications are subject to change without notice. While every attempt has been made by RepoGuys in the production of these specifications, possible errors or omissions may still occur. Garmin eTrex 10 Handheld GPS Navigator. Condition is Used. Shipped with USPS Priority Mail. 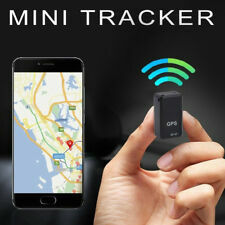 This is a great gps. Very fast. Will connect to your phone. Has lots of programmed waypoints. I got a new car play radio so I don’t need this. Screen is almost 7” im including the power supply and a cd-slot mount. Sorry, but I cannot find the suction mount. It’s gone. let me know if you have questions. 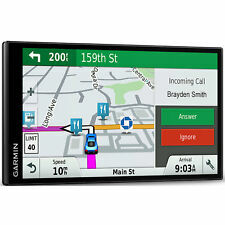 Garmin DriveSmart 61 LMT-S Automotive Mountable. Condition is Used. Shipped with USPS Priority Mail. Android 6.0 system. 1 x Android Player. 1 x Power Cable. 1 x RCA Output Cable. Two rear USB input. Built-in Bluetooth 4.0, hands-free, phone book, A2DP to stream the phone music to the radio. Computer Accessories. Battery: Built-in lithium battery. 1 x Car Suction Mount. 1 x Car Adapter. Audio: Support MP3 and WMA format files. Video: Supported file formats: MP4/ASF/WMV/AVI/DIVX/XVID;. 1 x User Manual. 1 x Power Cable. Simply enable the Swim mode and press start as you begin your swim. GARMIN Forerunner 310XT (Watch Only) GARMIN. Forerunner 310XT. Train in a certain heart rate zone to improve fitness and monitor your level of exertion. Magellan eXplorist GC Handheld GPS Receiver Used. Condition is Used. Shipped with USPS First Class Package. Garmin DriveSmart 51 NA LMT-S with Lifetime Maps/Traffic Live Parking, NEW! 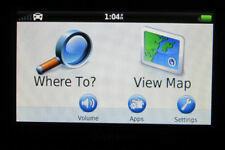 This is a Brand New Garmin DriveSmart 51 NA LMT-S with Lifetime Maps/Traffic Live Parking in need of a New Home! Someone out there needs this in their life! Please check out the photos for more details and as always Thank You so much for looking and please take the time to look at the other items I have posted for sale, I have something for everyone!!!! PREVIOUSLY USED BUT IN GOOD CONDITION. Distrito Capital. Villa Muñoz (Retiro). Tres Cruces. Parque Rodó. Ciudad Vieja. Barrio Sur. Punta del Este. You also have the ability to add custom POIs to your nüvi 2597LMT. nüvi 2597LMT also shows school zone warni. nüvi 2597LMT has a bright 5.0" display with dual-orientation capabilities, for use horizontally or vertically. 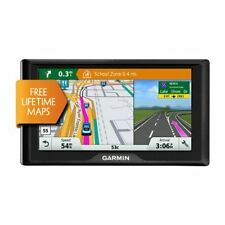 Garmin nüvi 3597LMTHD Automotive Mountable. Processor type: MT6582 clocked 1.3GHz quad core. 3G frequency band; Android systems 5.0: GSM: 900 (B8)/1800(B3), WCDMA: 2100(B1). 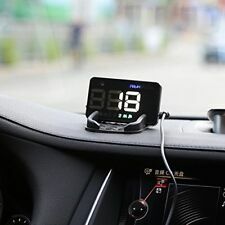 Car Bluetooth: support BT 4.0 voice calls, upload the phone book. FLASH : Built-in 16GB eMMC. The watch is in really good condition.